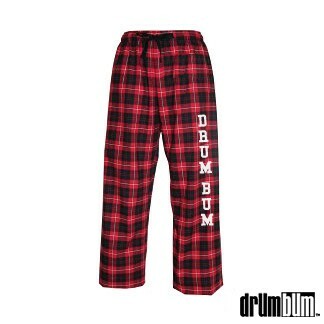 DRUM BUM Red Lounge Pants – *CLEARANCE! – Look good and be comfortable all at the same time with these stylish DRUM BUM Red Lounge Pants! The red and white plaid design is accentuated with DRUM BUM printed on the left leg. The 100% cotton lounge pants are a great gift for the musician who knows how to rock. Features an elastic waistband with drawstrings.